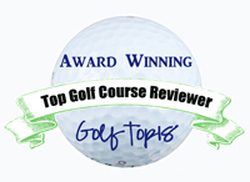 The 39th Ryder Cup matches, held in September of 2012 at Medinah Country Club, provided plenty of drama world-wide. 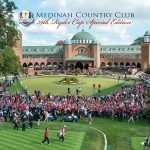 An inside look at that big global sports event was developed in a Special Edition produced for Medinah’s membership. Len Ziehm was privileged to be the author for this 144-page book produced by Nick Novelli, Medinah’s Archival Director. A professional photographer for 29 years, he established Novelli PhotoDesign in 1986 and has worked with Medinah’s Heritage Committee since 1999. 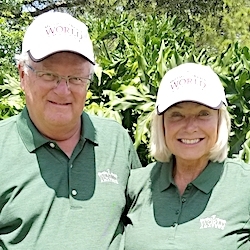 Also collaborating on the well-received Medinah Special Edition, presented to the club’s membership on April 27, 2013, was Lynn Kinander-Marinelli. She has been active at Medinah since 1960 and took over the publication of the club’s Camel Trail publication in 1986. She declared the Ryder Cup Special Edition “frosting on the cake’’ and said it would mark the end of her editorial career at Medinah. 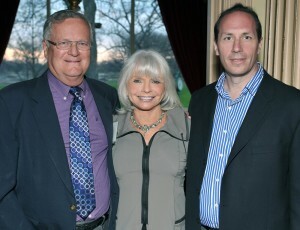 From left, Len Ziehm, Lynn Kinander Marinelli, Nick Novelli. CHICAGO’S GREATEST SPORTS MEMORIES — a collection of decade-by-decade reports of the city’s biggest athletic events, edited by Roland Lazenby. (Published by Sports Publishing Inc. in 2000). THE SOLHEIM CUP –a year-by-year account of the premier team event in women’s golf (Published by PING, Inc. in 2005). CHICAGO FIRE: 10 Years of Tradition, Honor and Passion – a look back at the first decade of Chicago’s Major League Soccer franchise. (Published by Chicago Sun-Times, Chicago Fire Soccer in 2008).